Happy Haven is the second condo in. Great little kitchen right off the living area on the second floor. Cozy seating in the second floor living area. Dining for 6. Slider to the balcony right off the living room with fantastic views of the channel and musical fountain. Happy Haven has it all - great location, new beds and bedding, two decks to relax on, and more! Take advantage of this 3 story condo that boasts 2 bedrooms, 1.5 baths, a generous living space, and a fully stocked kitchen. On the first floor, you will find a landing (great for dropping all your beach toys! ), the garage, and a washer/dryer. The kitchen, half bath, and living room are on the second floor. The living room features a queen sofa sleeper, new flat screen TV, and access to the spacious patio that has a new patio set and grill. On the third floor, you will find a large master bedroom with a new king size bed, smart TV, and access to the upper level patio. Also on the third floor is the guest bedroom with a new queen bed and smart TV, and a full bathroom. All the TVs are smart TVS with easy access to Netflix, Hulu, Pandora, etc. 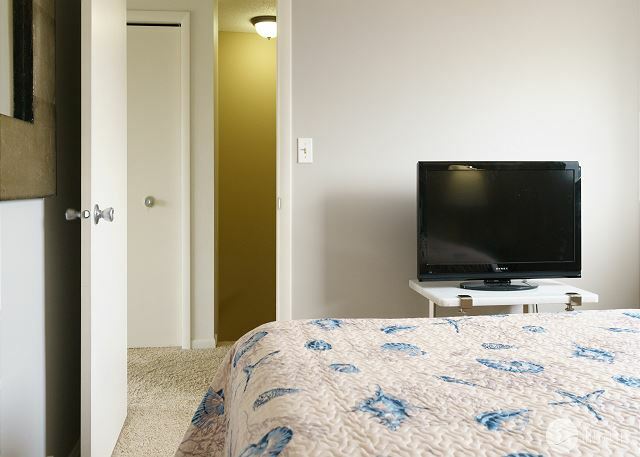 Additional amenities include wifi and air conditioning. This condo sleeps 4. 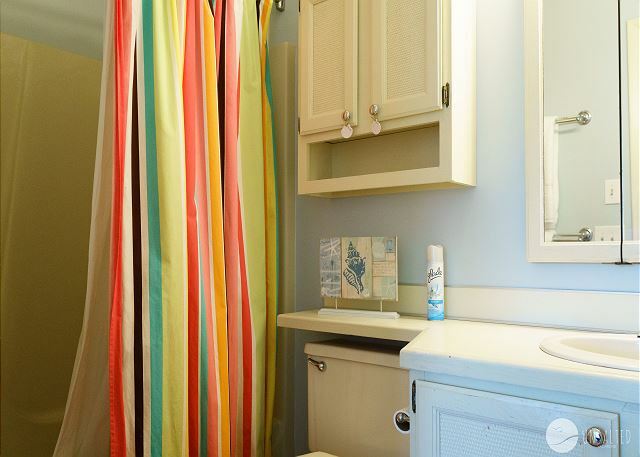 Bed and bath linens are provided. Parking: Parking is provided for 2 vehicles. One outside of the garage and the other in the designated space in the parking lot. 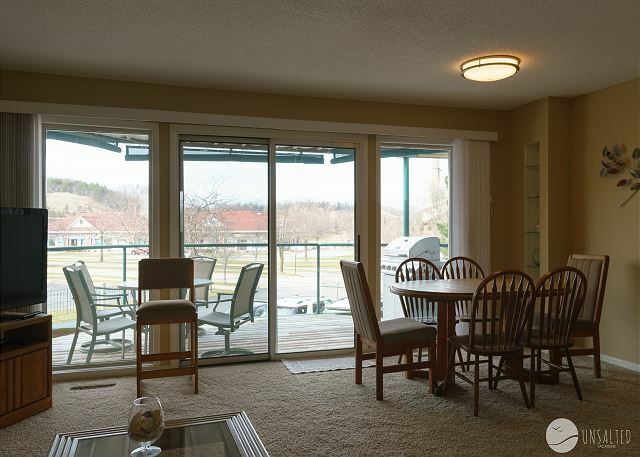 This condo is located downtown Grand Haven by Chinook Pier. Chinook Pier features a farmers market, the delicious Sweet Temptations ice cream shoppe, a splash pad and mini golf for the kids, charter fishing, bike and boat rentals, and the boardwalk. It is also two blocks away from downtown Grand Haven, with its fabulous restaurants, bars, brewery, coffee shops, and boutique shops. Grand Haven State Park, the beach, and Lake Michigan, are just a mile down the way. You can take the boardwalk, which starts at Chinook Pier, and walk along the channel to the beach. The property's location was great for us - just across the street from the marina, s small shopping center, a great little playground, and a very inexpensive minigolf, and a small splash park. For our family with 2 little kids, it was convenient. Nice to have covered parking and a garage since Grand Haven is very walkable - but also offers plenty of parking in most areas if you plan to drive. We drove to the beach each day, but a family with older kids (or less stuff!) could probably bike or walk there, if desired. The beach at the state park has ample parking, so driving was the simplest option for us. A very nice amount of space for our 4-person family, and we really enjoyed having 2 very nicely-sized decks to enjoy. You could see the musical fountain from the deck on the 3rd floor. Overall, a great experience - thank you! We had a great time at Happy Haven. 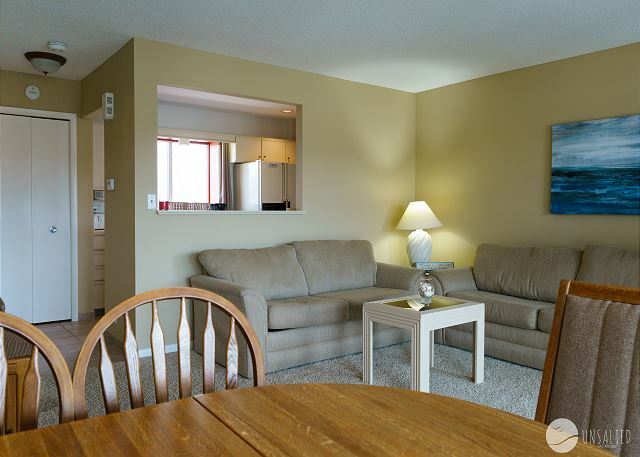 The condo was incredibly clean and accessible to many restaurants and activities. Loved having the 2 decks and the garage was a great perk. Thoroughly enjoyed our time here. Had a nice stay right after CGF. Prime location right across the street from the trolley's first stop. A little dated but I would assume most rentals are. Bedding was nice, though. Washer and dryer were very useful after a day at the beach. This property was absolutely perfect for me & my family (daughter, her husband and children - 5 & 3 yr olds). Everything is so close! There was the Splash Pad, Mini Golf, Musical Fountain (which you can see from the balcony) and a yummy ice cream shop directly across the road - which is extremely pedestrian friendly for crossing. Happy Haven was extremely comfortable which is how I want my vacation to be. The only thing that needed attention were the blinds in the master bedroom and the Representative from Unsalted Vacations told me this was in the works. I love Grand Haven and working with Unsalted Vacations to secure a home away from home (this is my second year) and hope to set up a third year in the very near future. This is a great place. The location is hard to beat and professional management is a+. Yes it could use some upgrades but if your main concern is cleanliness and location this is the place. Thank you Stephen. Yes, hard to beat that location, so glad you got to enjoy it. Come see us again! Property was clean, neat, excellent customer service! Highly recommend this property and also recommend using Unsalted Vacation services. I know I will again in the future. Hi John - thanks for this review, we appreciate it! So glad to hear you enjoyed your stay and your experience. We look forward to hosting you next time! Great vacation get away escape for everyone! Wonderful vacation escape for everyone! Great for a couple or the family. 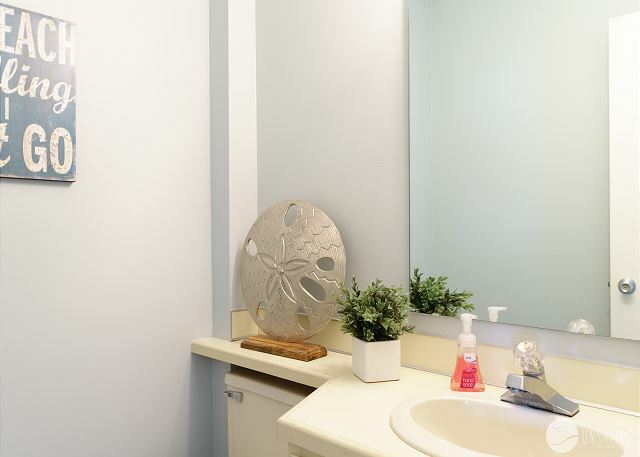 Right in the heart of downtown with views of the harbor and in walking distance of all downtown activities. Location, location, location is where it's at for this place. We enjoyed our stay as a family.. The pictures of this place doesn't do it justice, because it's very nice, and the views are surprisingly wonderful! This place was a pleasant surprise!! Thanks for your review! We are thrilled to hear you enjoyed your stay at Happy Haven and sincerely hope to have you back again soon! 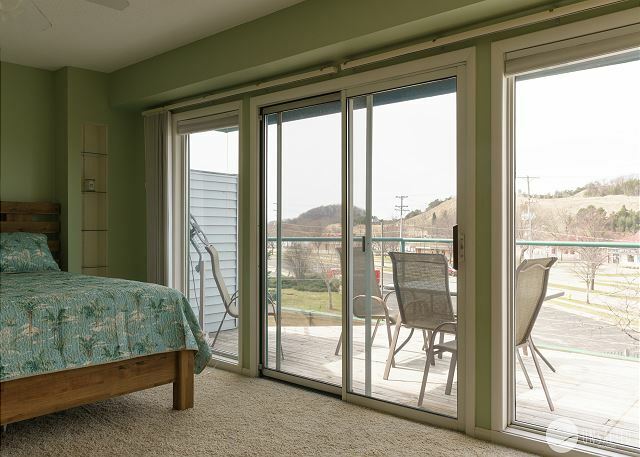 I rented happy haven for several weeks and absolutely loved it.The location is second to none and the views from the upper deck are awesome!Would recommend renting this property and will be renting it again. Hi Todd, we are so glad you enjoyed your stay at Happy Haven! Cannot wait to have you back again soon!